Thanksgiving has always and most likely will be my favorite holiday. I think it has to do with the fact that my birthday falls near Thanksgiving, and I always had a cake & presents. I also love the weather, the food, and the fact that it's the ultimate fall day. I'm oddly obsessed with the Macy's Thanksgiving Day Parade, and my favorite thing in the world is waking up early and cuddling on the couch to watch the entire parade. Thanksgiving is also the beginning of the Christmas season, and the end of the parade whenever Santa comes out used to make me and my sister SO excited. My mom used to cry every year because it's so exciting to see Santa on the float. I said before that even though I shouldn't be celebrating the holidays the way I am, or want to, because of my dad's passing, I'm not abiding by that rule. I don't want to become the person who is jaded and sad around the holidays. I want to still enjoy the holidays, no matter what. Also, I'm very excited to have a new house & a new room to decorate and get into the spirit. Because of all of this, I've been super into decor lately. I live with my mom and sister, and my mom is an incredible interior designer and our houses have always been beautifully decorated, but I have my own taste and sometimes our taste overlaps. I've been paying more attention to interior design and noticing what I like, and how I want the house & my room to feel. We're also having Thanksgiving at my house this year, and that's always my favorite. I love having the holidays at my house! 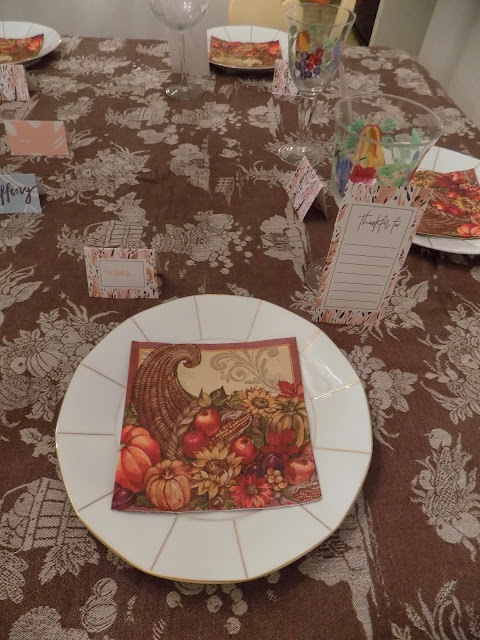 When you combine all of this, I wanted to go all out and decorate the table for Thanksgiving. It was a rough few weeks and I was all over the place, and was putting off buying any decorations for the table. However, at the last minute it all comes together. 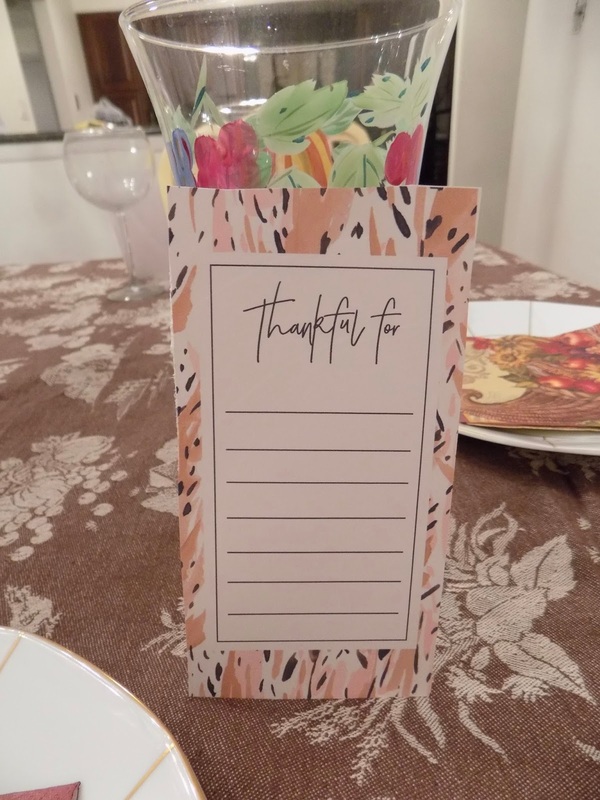 With some last minute purchases, something from my November POPSUGAR Must Have Box, and fun printables found online, I think it came together. I also think part of this came from me wanting to be a real blogger... because what lifestyle blogger doesn't have a post dedicated to decorating for the holidays? Expect to see a lot more of these posts around here. I don't live in an apartment alone, but there is a lot you can do in your room and family home. I promise you!